Is there a better alternative to Batch Image Converter? Is Batch Image Converter really the best app in File Management category? Will Batch Image Converter work good on macOS 10.13.4? Batch Image Converter is an application that allows you to convert one image format to another format in batches. 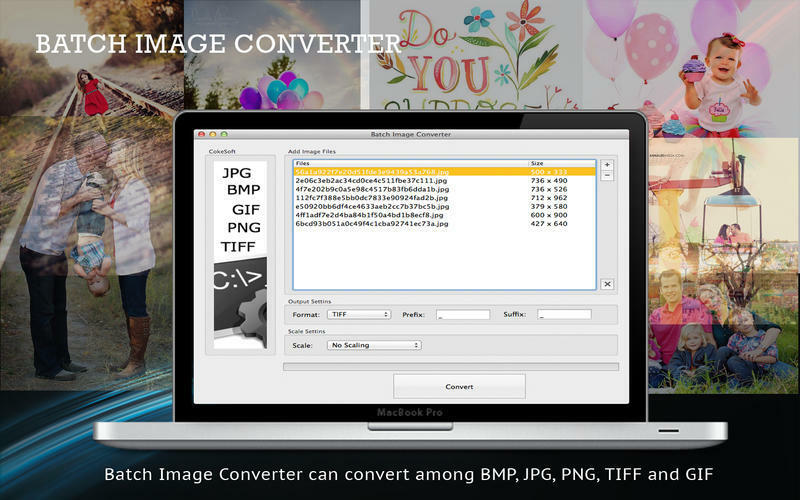 Batch Image Converter can convert among BMP, JPG, PNG, TIFF and GIF. 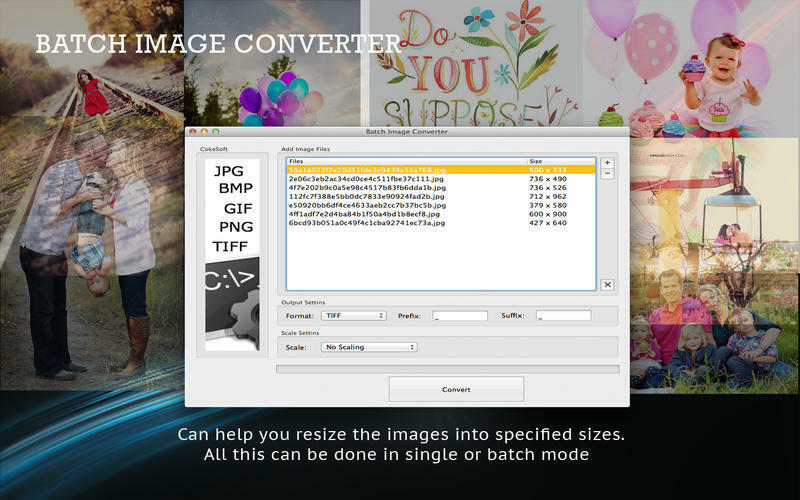 Batch Image Converter can also batch resize the output files. Batch Image Converter allows you to convert images into any standard image format. It can help you resize the images into specified sizes. All this can be done in single or batch mode. Batch Image Converter needs a review. Be the first to review this app and get the discussion started! Batch Image Converter needs a rating. Be the first to rate this app and get the discussion started! Batch Image Converter can happily convert an entire folder of images from one format to another even if there are hundreds of pictures in that folder. It is a simple-to-use and time-saving application by helping you to convert batches of images at the same time. Drag and Drop to import pictures into the file list. Support a number of image file formats including popular ones like BMP, JPG, PNG, TIFF and GIF. 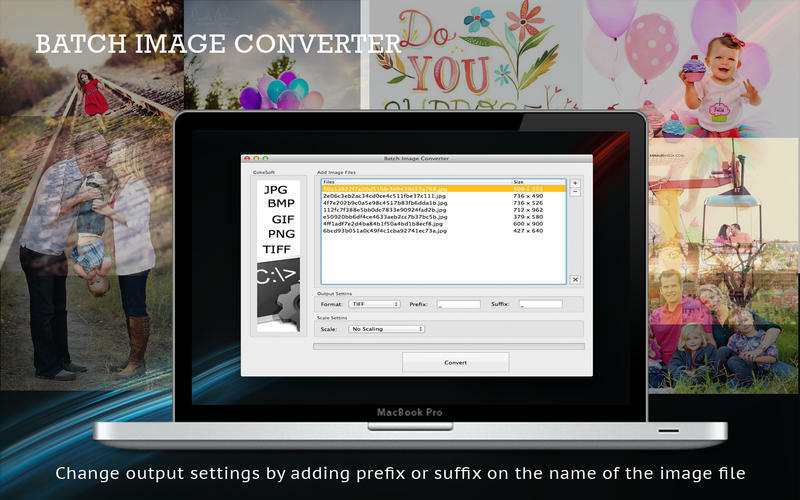 Change output settings by adding prefix or suffix on the name of the image file. Scale the files by changing its width and height.